Years after having a vasectomy operation, some have regrets. For one reason or another, many men (or their wives) wish they were able to have children again. Though a vasectomy is usually seen as a permanent operation, new microsurgery technology has created the opportunity to successfully reverse this procedure. There are two typically used methods of vasectomy reversal: robotic vasectomy reversal, and a standard microsurgery operation. Some people wonder if there is really much of a difference. The PUR Clinic uses the da Vinci Surgical System to conduct vasectomy reversal. With this method, surgeons make a few small, minimal invasive incisions, and use a state of the art 3D high-definition vision system to operate on the patient. The use of this new technology has decreased the potential for human error exponentially, by making the most precise cuts, and thorough surgery. 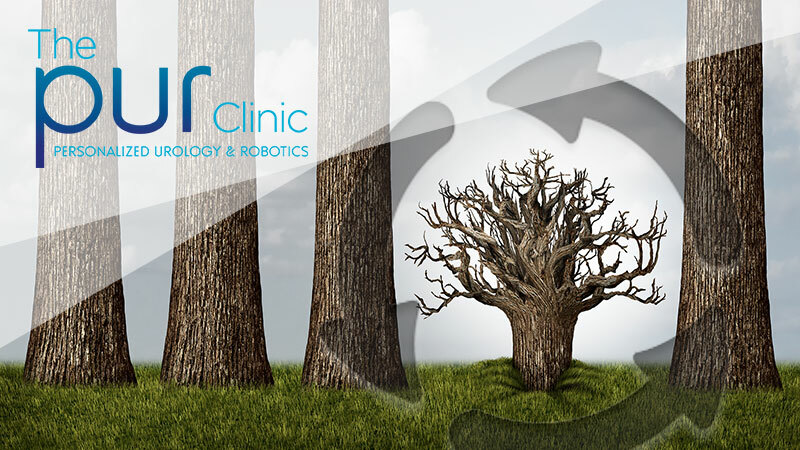 While there is fear of an unsteady hand in a standard microsurgery operation, the surgeon is in complete control of the robotic arms in the da Vinci Surgical System throughout the entire operation. Success rates largely depend on how long ago the patient’s initial vasectomy was. Recent studies have shown that there is roughly a 97% success rate in these procedures. The best time to have a vasectomy reversal is a few years after the vasectomy itself. However, the success rate is still high even for those who have had vasectomies decades ago, as we have had success with men who had vasectomies 38 years prior to their vasectomy reversal. With a combination of the latest technology, and experienced surgeons, patients subject to this treatment should have no fear of failure. Vasectomy reversals are very affordable, typically costing less than $7,000 dollars at the South Lake Hospital. These charges consist of hospital charges, surgical and anesthesia costs. The cost also depends on the type of reversal (vaso-vasostomy vs. vasoepididymostomy). These factors are decided at the time of the surgery, and there are no extra charges in the procedure. Overall, a vasectomy reversal is a very simple procedure. There are few risks and it is not a very expensive operation. If you would like to know more about vasectomy reversals, or are considering the procedure, simply contact The PUR Clinic at 352-536-8761.